Once again an excellent post. When I left my nursing career last year we cashed in ALL my retirement funds(3) and invested them in our farm, never dreaming we would put it up for sale 8 months later. Still, our investment is out there in the fields bringing in cash for meat and milk until someone else wants to do it big.We may or may not get areturn on this investment but we are satisfied in knowing we invested in ourselves. Health insurance...a whole 'nother matter. Both your article and the post you refer to are both thought provoking. I agree with all your points and would add one more. Whichever country you live in you have to deal WITH that "government", it's laws and it's taxes. The Amish are a perfect example and even they have to pay taxes and stay within the laws of the land they live in. Which is a restriction of freedom if you don't happen to agree with it. Don't pay your taxes? Govt will take away your assets. Don't do what I say? Govt punishment. And Govt will bend the rules to feed the beast that it's created, so it is also an "illusion" of security. Big Brother indeed. I'm very much "disengaged" mentally at least. Politics are a joke. I would love to homestead but DH is not interested. Like the Amish, it's good to have family and community to support each other. I can only watch from the sidelines. I agree, the whole system is totally rotten and over here in Europe we are going to feel that very soon ourselves (not sure that unrest will be avoidable with what we are facing!). the problem with going to mars is that not only would you have to invest a huge sum, you'd be relying entirely on people on earth, not such a good idea maybe? :)) and no matter where on earth we go, we still have to live in a country with a government (as Tami said), it's only a choice between totally awful and a little less so... I don't know what the future will bring, but I have lost all belief in pensions etc.. we've been taken for a ride and will carry that load for generations to come:(( disengaging one's mind is great, disengaging totally - is not so easy. First, my gosh gal, you write so well! Second, your thinking is entirely right on. (That I agree with you completely doesn't enter into the picture though, right? Right!) Seriously, I've not seen anyone write or say it so succinctly as you did in this post. This may sound harsh, but the individual's lack of personal responsibility and misplaced fear are what have put us in the muck our society is now experiencing. You have given voice to my thoughts. Now explain how you got into my head? I like your post. Three years ago, my husband lost his high paying job, and we had to sell our house. We moved into my parents house for a year, and swore that we'd never have that happen again. Fast forward a few years and he now has a job that pays half of what he used to earn and our house is much smaller. But we have learned not to want as much. And we have learned/are still learning to live from the land, and I think that we are more thankful now than we have ever been before, and more aware of things than we've ever been before. Unfortunately, we still have debt, but we are making a clear path to get out of it. We still are grid-dependant, and we still need insurance, but every month we do something else to get us further away from dependancy, even if it's only to learn a new skill. I don't know that anyone in this country can ever be totally independant. The "system" is not designed that way. Maybe the extreme off-griders are independant, but most of us have a mortgage and something else that ties us no matter what we do. But I know that I have peace of mind doing things for myself, and though my husband and I still need to work away from home, we are doing things to help us never have the situation that we had years ago ever again. Maybe that's got to be good enough. You said it, Mama Pea, it's a lack of personal responsibility. And a sense of entitlement. Leigh this was a great post! I was in a discussion with some like-minded people, and the issue was social "security". The system cannot continue indefinitely, indeed was never meant to be a permanent program. Some people just don't understand, however, that we can come up with a plan to disengage from it, or wait until shtf and a huge number of people will be dumbfounded and starving instead of educated and well-fed. It's like that everywhere, in any aspect of finances in America and I'm sick of it. I bought into it, for a little while. Long enough to acquire a mortgage and vehicle loan, double ick. People have to be taught to work hard and save their money, this instant gratification society we live in is ridiculous. I wish I had learned that bit of wisdom earlier, but, at least I can make sure my son knows. Well I certainly do agree with your opinions and especially your thoughts on politics. My wife and I have already concluded that if things do get really bad the first burden we will shed is our worthless, ever increasing, never been used, health insurance...of course by then it will be just as mandatory as our never been used, ever increasing, car insurance is. As you suggested, the "what if" fears do a great job of keeping us locked into some of these services don't they. Sorry, our health insurance rates just went up again and I am a bit frustrated. This was a very meaningful post. I agree with you.... and if left on my own devices, I would be a hermit and a recluse and living a different kind of life. But my husband is totally connected to technology and all the toys it brings. He supports my self-sufficiency efforts, but doesn't ever see himself leaving the connective life style and becoming totally self-sufficient. And I adore him.... so while I have sheep and chickens and gardens and can our garden produce and spin my own wool and knit..... we still live two miles from the city edge and my husband still spends his late evenings playing on the Xbox and keeping in touch with his buds on Facebook. One important fact is that in centuries past, if you disagreed with the government you were most likely imprisoned or killed. Both revolt and exodus resulted in more dead than survived. So we have come a long way from that, and should be thankful we have the option to disagree today. That is the real shame, we are living in a time of more freedom than ever before, but most people have rolled over to a life of surrender . By their very actions they have given power to those who should never have had it. Who knew having it so good could have went so bad. Leigh, I have not been reading your blog for a while--I cut down on my blog reading in an effort to spend less time on the computer--but I missed your blog, so I subscribed again, and right in time for a very thought-provoking post! I agree with you that there is less we can do these days to disengage from the system, than there was in days past. The government is such a large presence today (regardless of the country, I am in Canada) and it is impossible to escape it. Homesteading is a step in the direction of freedom though. As is lack of debt. Your post really makes me feel impatient for us to get started--my husband just got his first "good" job after years of sporadic employment, and so we are saving for our first small homestead. It will be many many years before we'll be debt free, but that's our ultimate goal! Thanks for the reminder of what's important. Excellent post, and my thoughts exactly. Breaking free from the ties that bind takes sacrifice and hard work, and most don't have the knowledge or self-will to try. Our government is a mess, and it's not going to be fixed because there is always someone with power and money to oppose any changes. Being totally self-sufficient may be a pipe dream, but each thing you do, no matter how insignificant it seems, is a step in the right direction. A wonderful post, I've experienced just about all of it (guess that's what I get for living so long)..Your right about the insurance, you are just about forced to have it..I would rather the Gov. not give me a raise and the health insurance take most of it...I don't need the increase..homesteading ..glad I'm doing the best of it I can. An extremely excellent post on my favorite topic. I am going to have to sit down with a cup of tea and read this more thoroughly. Good comments, as well. Such good writing skills Leigh, what a gift! This is quite a thought provoking post, I need to read it over again. We share thoughts about our government and the benefits of living off the grid, providing as much for ourselves as we can, etc. Great post! Donna, that's the only kind of investment that's worthwhile I think; investing in a piece of land. I reckon a return could be somewhat relative. If you are able to pay cash for your smaller homestead, then you'll be ahead by a long shot. Tami, yes, government and taxes are at the top of the list! I didn't include them because they always have, and always will exist I think. The other things are a more modern inventions with the potential to ensnare us. Of course government is largely responsible for these, or at least for keeping them alive and prospering. Bettina, I thought about that with Mars, LOL. And I agree about disengaging totally. Still, the mental disengagement must come first. Mama Pea, thank you! Your compliment on my writing made my day! I have to say that Benita (Basically Benita" has, for some time now, encouraged me to write a book. Can you believe I'm actually working on one? I think you summed it up quite well about personal responsibility and misplaced fear. Both these things have enabled big government to slide on in and take over what we refused to do for ourselves. Serenity, ha! It's encouraging to know that so many others are coming up with the same conclusions. Jocelyn, excellent goal - to do at least a little something every month. It's true, the system is not designed to allow folks to disengage. We are grid dependent, gadget dependent, consumer dependent, socially dependent. Still, I think it's the right direction to head. As you say, there's a peace of mind that comes from beginning to do things for ourselves. OK, Blogger says my comment is too long. I'll continue on a second comment below. Beth, yes, entitlement, good point. We seem to have lost the work ethic that built this country. I think a lot of folks are counting on something or someone to set things "right" again, as though economic prosperity is a given. It may be a tough wake up call for many. Mr. H, sorry about your rates. I think we'll all be in the same boat soon, even those of us who don't have insurance at present! At the very least, companies should not be allowed to make profits on mandatory insurance. That's what I think anyway, but we know that won't happen. Sadly, the public is just one big cash cow for these companies. Sgtempleton, my DH works with a guy whose wife is the same way. He realized that she isn't interested because she doesn't see a need. Folks have to be motivated to change their lifestyles and be willing to walk away. When they see a need, they get motivated. It may work out that way for your husband too. Jane, I think folks assume "freedom" means doing whatever one wants without consequences. They don't understand the responsibility that comes with true freedom. We've become apathetic as a nation and too willing to hand over our freedoms for the sake of "safety" or "security." As you say, true freedom is something we have to work at. Laura Jeanne, good to hear from you! With a new baby though, I'm not surprised that you haven't done much blog reading. I understand that feeling of impatience you and your husband have. We had it for the 3 years prior to moving here. Still, just working on the goal is progress! Candace, you're right, it definitely requires sacrifice and hard work. Unfortunately not everyone is willing to pay that price. I have to admit that rather than thinking about total self-sufficiency these days, I tend to think how we would get along if the rug was pulled out from under us. I prioritize that way, realizing we'd lose some of our comforts, but at least we'd be warm, well, and well-fed. Ginny, good point about government benefits. And I agree about doing the best we can. There's comfort in that. Susan, thank you! Let me know what you thank after you've had a closer read. CaliforniaGrammy, thank you, thank you! I admit it, I love to write. Almost as I love working on our homestead. :) I think considering the way things are, a lot of folks are rethinking their way of life. Very nice article... Allow me to offer a method of escape. Pretend that the money that goes to your bills / insurance / retirement plan / taxes is never really yours. It requires a very modest lifestyle to live on $1000 a month or whatever is left over, but we are homesteaders and making do is what we do best. It is when we see "our" money being taken away for taxes and all that other stuff that we feel trapped... If we get into a car accident and the insurance pays off or if our retirement funds grow, then that's just gravy, but it is our expectation that keeps us trapped. We'll never get rich, but like many have said, that's not really the goal anyway. Great post! Can't comment much more than others already have and what you made out to be really, such a simple way to distance oneself from the government. So simple, but not everyone is willing or able to do. Halfhippie, I agree that attitude is the majority of any battle and key to sanity, LOL. This post though, isn't about money. It's about the means available to ordinary people, who feel their government and their society is failing them. It's about having the freedom to make the choice to not participate in it's failure. Many folks have faith in the system but struggle with the financial burden it imposes. Others have no faith in the system, and in fact, see it as doomed to fail. Those are the people I'm talking to. The bottom line is that we don't want to get caught in the fall-out when it does fail. As I see it, debt, insurance, and retirement investments are 3 key things that keep us tied to the system. Of course not everyone sees things that way, so I'll be the first to say that this is a personal perception and a personal choice. In the end, we all need to do whatever we think and feel is right for ourselves and our families. Carolyn, thanks! I think we all realize the tall order such disengagement is. I tend to want for us to extract ourselves as best we can, and then hunker down and hope for the best. For me, what Tami and Jocelyn wrote resonate the most (as an addition to Leigh's original post). There really isn't an option as being off the grid is an illusion (taxes, water rights, eminent domain, etc.). But it's still better than nothing. I wish my wife and I had come to these realizations earlier in life. It's not that we're too old, and I know Leigh and her husband didn't start young, but we have another tie, another leash chaining us to the system: our elderly parents. Both my wife's mom and mine depend on our financial help. The medical bills/prescriptions, debt... 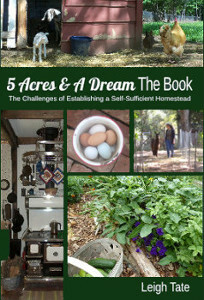 It all piles up and we just cannot support them and ourselves via homesteading. Instead, I live vicariously through the blogs, websites, and books (Leigh? Ahem!) of those braver than I, those who do make that toughest of decision and manage to follow through. Thank you Leigh, for the blog and your insight. G, thank you. Your comment humbles me. I think we are all somewhat in the same boat. We realize how the philosophies and policies of our culture and our government are effecting us, realize we don't want to get caught in the consequences, and feel powerless to do a whole lot about it. Even for the most able of us, I think complete cultural disengagement is near impossible. Many others, like yourself, have others dependent upon them, and I agree that must be the priority. I appreciate your reading and your comments. Jane mentioned in a previous comment: "Both revolt and exodus resulted in more dead than survived. So we have come a long way from that, and should be thankful we have the option to disagree today." Although we are in a period where that is not currently happening on our soil, I do not believe we have come a long way from this possibility. I believe it is being temporarily suppressed, but if the perfect storm happens mass killing will rise again to touch us... not just in other places. It has been in humanity since the fall. A recent example in history is Hitler in Germany. Germany was a civil country then all hell broke loose. Hitler began his rule appearing tolerant to dissenters, but as he gained more power his true colors became evident. There are more smaller scale examples of this in even more recent history during the last 20 years. We live in a false sense of security that this stuff will not happen in our country. It can happen anywhere. Especially in an entitlement minded country such as the USA. Many in this country think we are insulated b/c of our checks/balances and constitution. These are only good if our citizens and elected leaders respect our foundation. I do not see many that are in any branch of the gov't: judicial, executive or congress. And the masses do not care as long as they have a comfortable life. I believe a storm is on the horizon. Another area I believe we have a false sense of security is personal property. In this country we have a mindset that citizens own land. 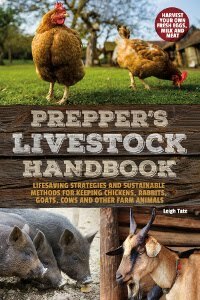 I believe this is a weakness in thought among most homesteaders and preppers. We really don't own our land even if it is paid in full. Try skipping out on your property taxes and see how long you have title. Or try fighting eminent domain confiscation. Or paint your house purple if you're in an HOA. As our country crumbles, I believe the government will take peoples' property. First I think it will be 401Ks and IRAs so they can act as custodian. Then I believe it will be our land. It will be gradual, but good for society b/c too much land is held by too few people. I can see this movement starting... Occupy Such/n/Such will give those in power a reason to step in and help. I read once (sorry I don't have the back-up) that this happened in the former U.S.S.R. If you had a large house and the gov't deemed you didn't need all your rooms, then your extra rooms became public housing. When I looked at all the census questions last time, it was unnerving how much detail they needed about our home. Now they have all this in a data base ready to go. We cashed out our IRA and paid for our farm. It is one step closer to independence. However, I think owning a farm, animals, solar panels, well, 1 million pounds of grain, etc. is also a false sense of security. There is a local farm in Texas: Home Sweet Farm. When we had a hurricane headed our way, FEMA contacted them and asked how much food they had on hand. If FEMA knows where the food is for a natural disaster, then where does it stop? I doubt the farm had legal grounds to tell FEMA NO because it was an emergency situation, so their produce really does not belong to them. I'm not all doom and gloom. I think I'm more of a realist. Even though it can all be taken away, we must prepare and do the best with what we have while realizing there is only one place for absolute security. Thanks again for our thought provoking writings. I read that article, too, Leigh, and it made me think about the possibilities of "enlightened disengagement" as well. Debt was the first thing that occurred to me, but I never even considered insurance and retirement savings. Interesting and though-provoking. Thank you! I have to reply to "Your Houston Friend"'s comment because he did not tell the whole story. Feeling indignant that FEMA would do such a thing, I looked up the HomeSweetFarm site and found that they are not a little 'mom and pop' homestead trying to survive. They are a small business encouraging homesteading, teaching classes and offering consulting services. They helped organize Houston's first and largest Community Supported Agriculture Farm (CSA). And they accept donations ($) to help keep their programs going. Of course FEMA went to them. They are probably just one of many places FEMA went to. Please tell the whole story, not just snippets. My dear Houston Friend, excellent insights as usual. I agree with Jane, that we haven't taken proper responsibility for our freedoms, yet it is equally obvious to me that because of that, those freedoms are under attack and gradually being taken away from us under the guise of "safety" and "security." And you're correct, it is a false sense of security. I think we cling to it because we are too comfortable and don't want to pay the price that comes with personal change. Good point about land ownership as well. I've seen land in our area "condemned" so that the government could build another school, add another highway, etc. Still, investing in land and the means to eat from it, is far more secure than a bank account. Grace, thanks. I don't think anyone can be actually free from those things, especially insurance, where currently things like car and homeowners insurance are mandatory. I reckon the opt out for that is don't own a car or a home. Once health insurance becomes mandatory though, there will be no opt out. CBoord, welcome and thank you for taking the time to comment. I looked up HomeSweetFarm as well, and noted they have a very public presence as they are a business. Your counter-comment to my Houston Friend, points to something I said earlier in the comments; that folks have different levels of trust in the system. If the system functions as it's supposed to, everyone benefits. But when corruption and power tripping, less and less public trust erodes as well. Which view one takes, will depend on the individual's experience. Regarding HomeSweetFarm and FEMA, I think the only opinion worth noting would be HomeSweetFarm's. Were they contacted in the spirit of cooperation to meet peoples' needs? Were they bullied and threatened? Were they offered fair compensation for their goods? Or were things to be confiscated without compensation? Considering the times, I think either scenario is plausible. CBoord, you are correct. Home Sweet Farm is not a small mom and pop. I did not mean to be deceptive. It is hard to give all the info in a comment sometimes. Although I, the writer, know what I mean it can be murky. So please let me clarify. I was surprised that this farm even made it on FEMA's radar. Granted they are not "5 acres and a dream", but I don't consider them a substantial provider of our area's food. If they disappeared tomorrow, the local food movement would notice, but there sure wouldn't be a food shortage based on their production. So my point is, where does it stop? I think if we have an expected food shortage in this country, the size of the farm called by FEMA will get smaller and smaller. Interesting video. It gave me a new scenario to think about. For smaller homesteads though, I think it more likely to be robbed of our food if there was a shortage, not by an agency, but by folks who lived in the area and happened to know we were there. Wow, what a poignant and beautifully written piece! Thank you so much for sharing it. Sad times we live in..... Depressing at times especially when I try to imagine how things will be for my children, when they are grown, but we push through & do the best we can. Debt - Right on. Debt has caused many problems around the world. Everything that is financed is property of the bank which ironically is using the depositors money to finance that debt. The whole banking/credit system is setup to part as much money as possible from consumers. Insurance - I would argue that Insurance itself caused the need to carry insurance and ever increase its limits. Insurance drives up costs of services as it disconnects the consumer from the true cost of these services, be it auto, health, home. When people don't have to pay for auto repairs out of their pocket they tend to be less cautious drivers and do not price out repairs. If you caused an accident that you had to pay for all repairs out of your own pocket I would bet that number of accidents would decrease along with repair rates because people would actually shop around for the best deal. This goes for health insurance as well. Doctors know that someone with insurance is not paying the bulk of the bills(in most cases) and can charge whatever they want. When people are not paying for their healthcare directly they tend to take less care of themselves, less preventive care, and use emergency care way to liberally all increasing the costs. I myself do carry all types of insurance for my family, all with very high deductibles. I sleep better at night knowing if something terrible happens it wont bankrupt us(knowing the chances of EVER using it is slim to none). Retirement Investments - I think having assets.investments for when we are older is a necessity. I am not talking your 401k, stocks, etc... Investing in your land, being more self sufficent, and knowledge are all forms of retirement investments as well. I believe 401ks are some of the worst investment choices out there today (besides social security). We blindly put portions of our pay into these accounts with usually limited investment choices with little control over how that money is used. Anytime you put a single person or company in charge of billions/trillions of others peoples money your asking for trouble, their is a reason investors call it dumb money. Disclaimer- I do have a 401k for the sole purpose of obtaining my company match, all my fund is allocated to bond funds which have a poor return however are very safe and actually in the past 10 years have out performed stock funds while having half the fees. In today's political and economic climate I would have to argue that investing resources into land, food, etc... is one of the safest bets around. If the dollar is devalued much more and is removed as the world reserve currency hyperinflation will occur and that garden will be worth MUCH more than it cost to setup. J Smith, I used to work in a hospital and the attitude is exactly as you describe, "the insurance will pay for it." Forced insurance is extremely annoying, and I think that if people are forced to buy insurance, than that insurance should be prohibited from profit, IOW these should be non-profit policies for the company. The other thing I figured out as a nurse, is that the problem with rising health care costs is not the type of insurance people have, but because both insurance, medical, and pharmaceutical companies are never satisfied with their profits. That's the major reason costs go up! We came to the same conclusion as you. Our land and ability to grow our own food, is our material investment. It's probably not so much the company as it is the person handling the claim. Some individuals are there to be helpful and do their job, but it only takes one small person on a big power trip to make one's life difficult. Unfortunately I always seem to run into those small people!